Personal processes are ad-hoc to the point where each process may have a unique structure and is certainly not as strictly defined as a workflow process. In order to describe, share and analyze personal processes more effectively, in this paper, we propose Personal Process Description Graph (PPDG) and a personal process query. The personal process query approach is developed to support different types of graph queries in a personal process graph repository. 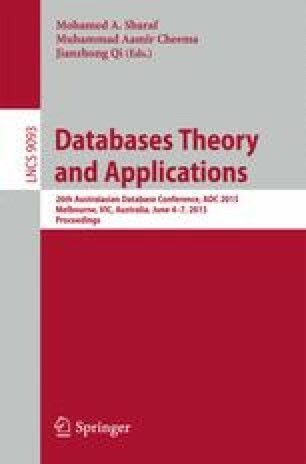 The approach follows a filtering and refinement framework to speed up the query computation. We conducted experiments to demonstrate the efficiency of our techniques.